Anupam Lahiri is a Healthcare Executive with Methodist LeBonheur Healthcare in Memphis, TN. He has been in healthcare management for the past 19 years. He received his M.B.A. from the University of Memphis, TN. He also has a degree in Occupational Therapy from Calcutta University, India. He is also an Adjunct Faculty member with Arkansas State University and served as the Guest lecturer at UTHSC. He is a member of American College of Healthcare Executives and board member of Mid-South Healthcare Executives. He has also served as the President of India Association of Memphis and Mid-South Bengali Association. He is married to Mohua and has two sons, Emon and Ean. He enjoys community activities, photography and traveling. Description of Business/Job: PRODUCT MANAGER – SUPPLY CHAIN INDUSTRY. 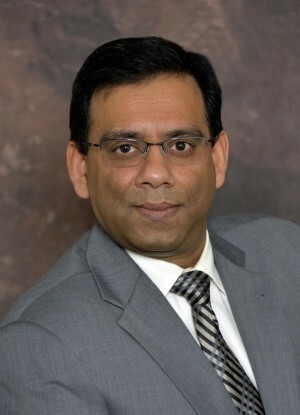 With a 20 year career in the logistics and transportation industry, Sharan has a very broad set of experiences covering engineering, operations, customer support, market research, and customer data acquisition and integration. Currently he has product management/ marketing responsibility for two supply chain related products covering the healthcare industry and transportation management. In his broad career, Sharan has completed global projects managing internal and vendor teams across APAC, EMEA, Mexico, Canada and the US. He has been recognized with many internal awards for his leadership, customer spirit and goal-focused project completion including 2 time recipient of the highest employee corporate award. Harish Vishria is a Senior Financial Advisor with an Ameriprise Platinum Financial Services practice. He has been an advisor for the last 19 years and holds the designation of a Certified Financial Planner. As an advisor he has been awarded among the top 100 advisors across the nation and recently appointed a Private Wealth Advisor (top 2% of the nation) with Ameriprise Financial. He received his M.B.A. in management from Claremont Graduate School in Claremont, CA. He also has a Masters Degree and Bachelors Degree in electrical engineering. 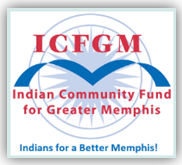 He is a founding member of both the Indian Community Fund for Greater Memphis and Diversity Memphis. He has served on the boards of Community Foundation of Greater Memphis, National Conference for Community and Justice (NCCJ), Service Core of Retired Executives (S.C.O.R.E), and the Financial Planning Association of Memphis. He has also served on the economic, finance and retirement committee for the City of Germantown. He is married to Urmi and has two sons, Eric and Aaron who both reside in California. He enjoys involvement in community service and raveling.